UK caravan holidays are a fantastic and affordable way to see the country, whatever your caravan and wherever your destination. 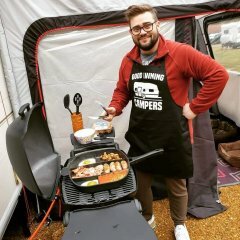 In this section of the forum you can discuss the caravanning holidays you have had anywhere in the UK; feel free to share your favourite experiences from holidays you have enjoyed, or request information about a site or an area that you are planning on visiting on a touring caravan holiday. First Tow Of The Year.